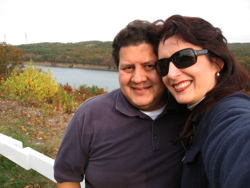 Lisa and I are off to Southeastern Massachusetts this weekend. I am attending a model railroad convention so we took the time to go to Cape Cod and then spend a day in Boston. When we got to Cape Cod we were ready for something to eat. We could not find a place to eat as the “season” is over in October. Most of the dining establishments were closed for the winter season. It took us a fair while to find a local seafood spot. We finally found a place in Sandwich, MA, Seafood Sam’s. It was a really quaint little town with lots of New England flavor. Neither one of us had been to Cape Cod before so we really liked the scenery and the neat architecture found throughout. 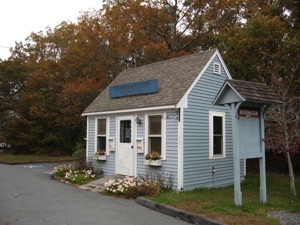 The photo below is the information center (closed for the season) as we first arrived in Sandwich. Lisa thought it was so cute. It is a cute little building. My convention lasts 2 days so we plan to spend a day in Boston after the convention is over. See you when we get back.